A 4′ traditional quilted mattress with from the Natural Sleep Company. The Classic mattress from our comfort range is the most affordable quality mattress in our Natural Sleep Company collection, and our years of mattress expertise have allowed us to give you the best mattress available on a limited budget. 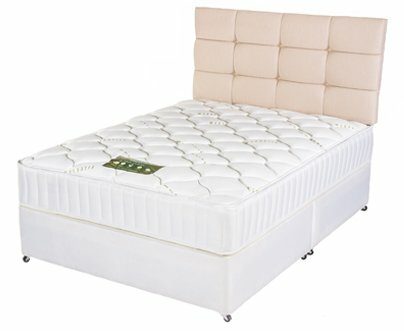 This mattress gives excellent orthopaedic support and a comfortable night’s rest at an affordable price. Would also make a super guest room mattress. Orthopaedic support with quality fillings, fitted by experts.